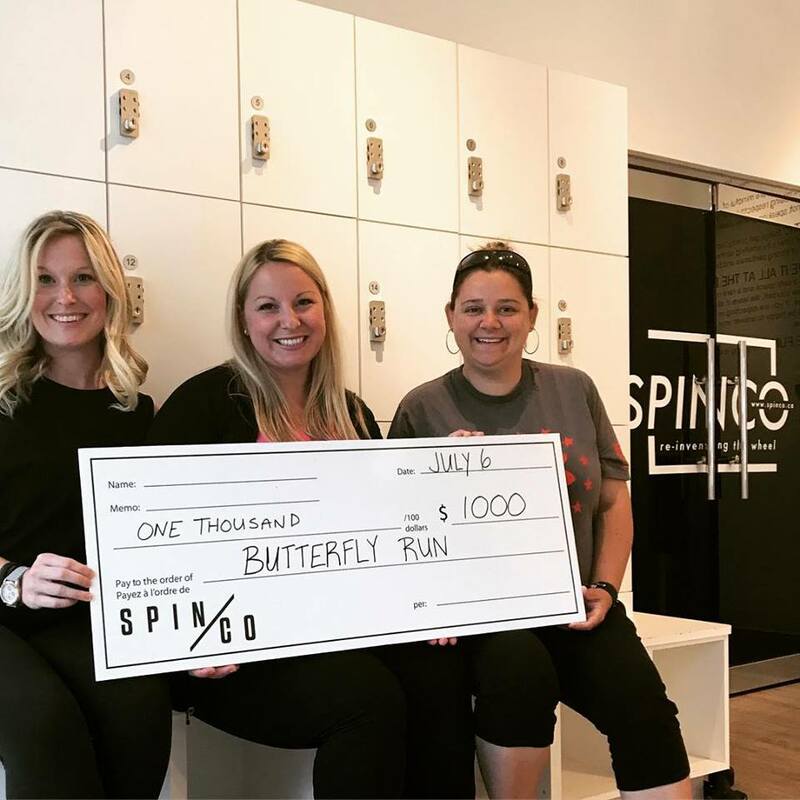 We are SO thankful to SPINCO Ottawa, who during the months of April and May, donated $1,000 to Charlotte & Théo's Butterfly Run, from proceeds raised from their weekly "Spin-it-forward" classes. 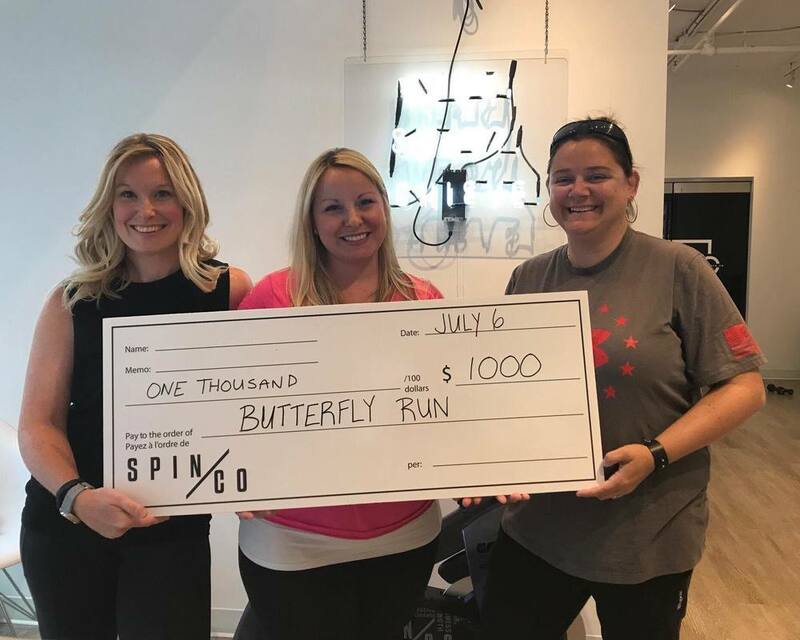 In this photo are some of our Exec Committee members accepting the cheque at SPINCO Ottawa. From left to right: Julia Wilson (our Run Director), Claire Pagé (our Co-Chair, and Théo's mom), and Anne-Marie Warren (our other Co-Chair, and Charlotte's mom).